5951 Tinkertown Drive, Chautauqua, NY.| MLS# R1097702 | Chautauqua Lake Real Estate Services. Informed, Professional Real Estate Information Serving Buyers and Sellers Interested in Lake Chautauqua Real Estate and Chautauqua County NY Real Estate. Rick and Julia McMahon Real Estate Advantage Since 1992. 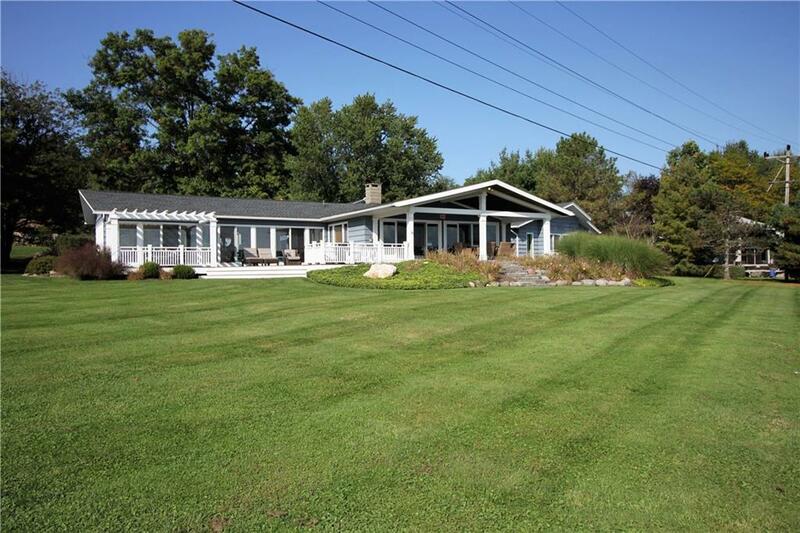 Spacious and contemporary lakefront house offers 168 feet of lake frontage. The living room, dining room, and kitchen are open to each other creating a great room. The great room has wood beam cathedral ceilings, a wood burning fireplace, and a wall of windows and glass doors to view the lake and the doors lead out to the covered patio. The kitchen is spacious and has a breakfast bar that wraps around and can seat about eight. The kitchen is also open to the large family/rec room that also has a wall of sliding glass doors leading out to the deck and capturing the great lake views. The home features two master bedrooms with attached baths and two additional bedrooms. The exterior features a tennis court and a deep lot. This home is ideal for entertaining inside and out. Call today! Directions To Property: From Rt 430 W Turn Left Onto Tinkertown Dr. , Tun Left To Stay On Tinkertown Dr.